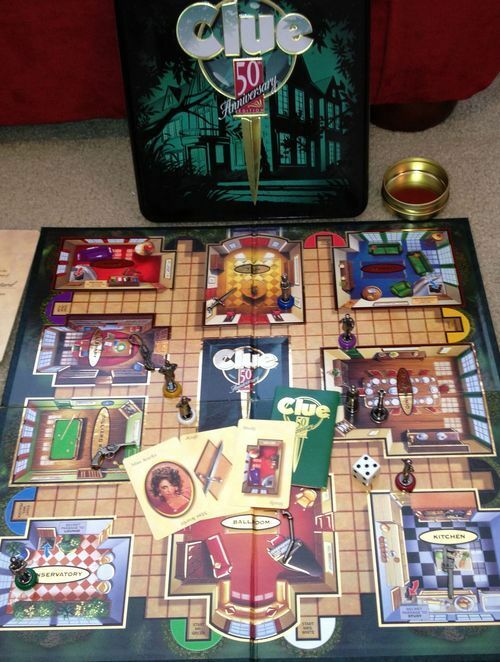 I’ve always loved both board games and mysteries, so it’s no surprise that I fell instantly in love with Clue when I discovered it as a child. I was even more hooked once I realized the game’s strategy went far beyond the guessing, process-of-elimination approach I had been using. 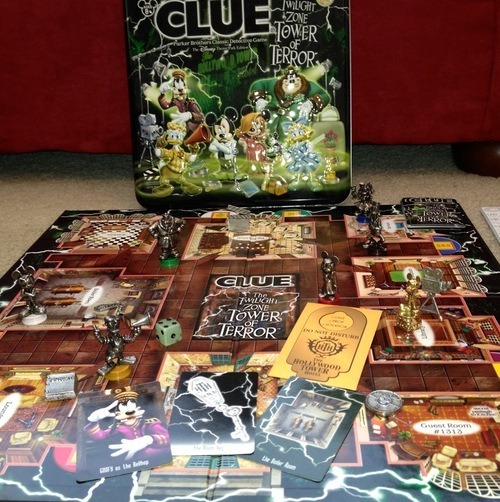 Clue is a game about paying attention to others’ guesses, bluffing your opponents, and, yes, a bit of luck as well. 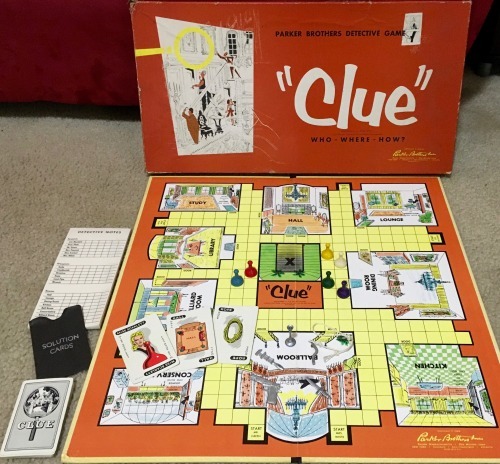 These days, I’m into more modern board games, but Clue has kept a special place in my heart, and over the years, I’ve collected some of the more interesting varieties of Clue I’ve found—especially those with different rules or twists that set them apart from the standard edition. I don’t try to own every edition of Clue, but I do make a point of getting my hands on the ones that interest me with something unique. Here’s what I have so far. 1. 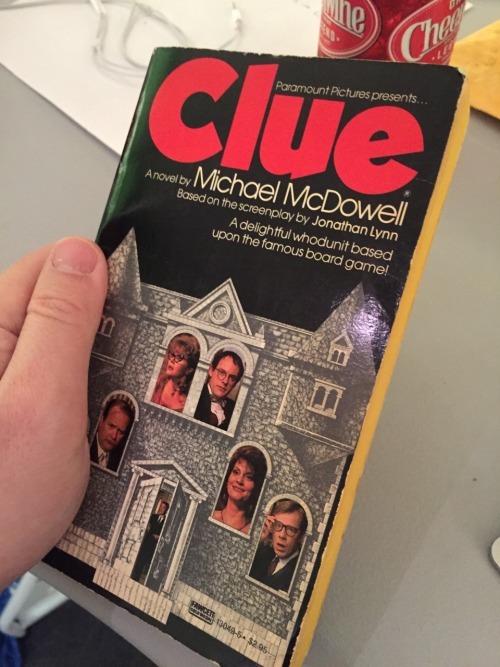 Clue, 1972 edition. I grew up with this version, so it always brings back childhood memories. …but what really gets me about this edition is this hilarious bit from the rules. 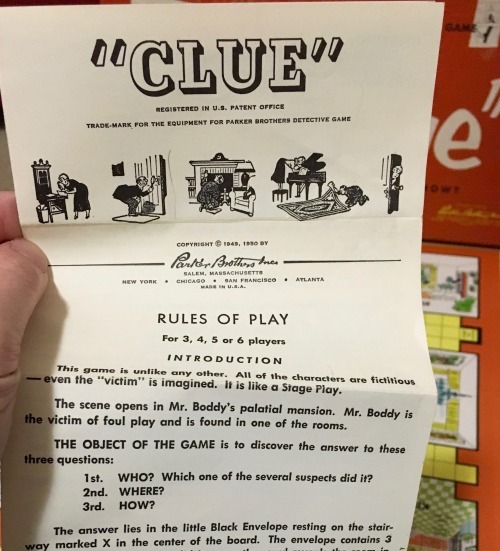 I’m trying to imagine what sort of 1950s family would pick up this game thinking it was about real-life murder if it hadn’t been for this helpful “explanation.” Like a stage play, you guys. UNLIKE ANY OTHER GAME. 3. 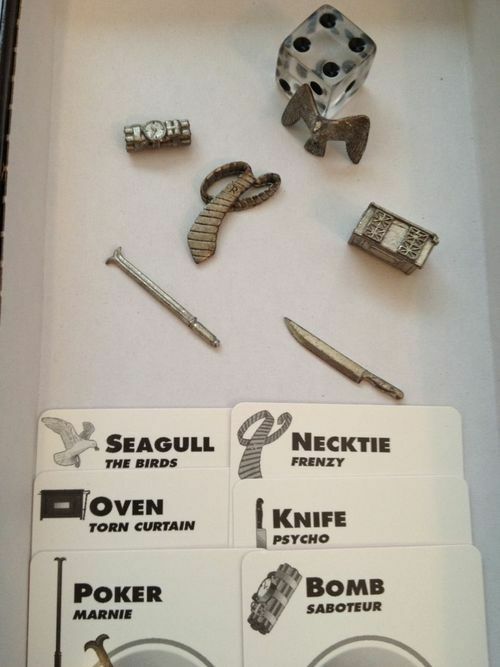 Cluedo. 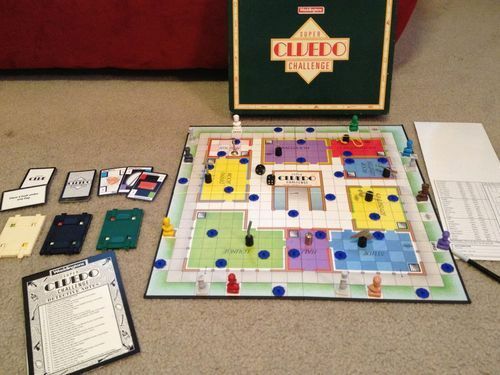 Many Americans don’t realize this, but Clue actually comes from the UK, where it’s called Cluedo, a play on Ludo, which we Americans know as Parcheesi. Why the change? 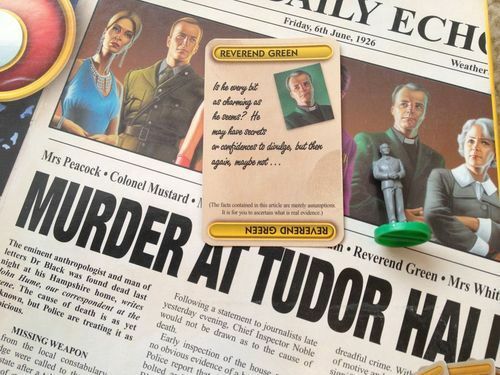 I can only guess that when Cluedo came to America, its manufacturers thought American audiences would balk at the idea of a minister as a murder suspect. 4. 50th Anniversary Clue. This version is shiny and comes in a pretty tin, but it’s basically the same Clue everyone knows and loves. 5. Alfred Hitchcock Clue. I grew up on Hitchcock movies. 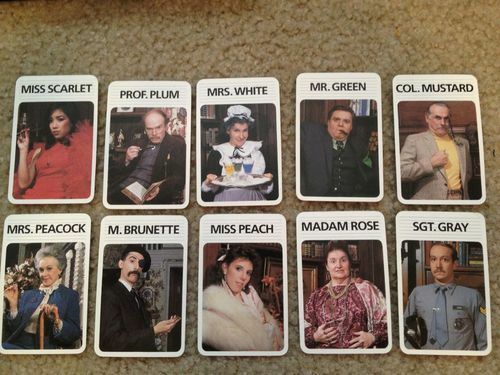 (“Ah, so that’s where everything went wrong with Justin!”) So how could I resist the Clue characters playing famous Hitch characters? 6. 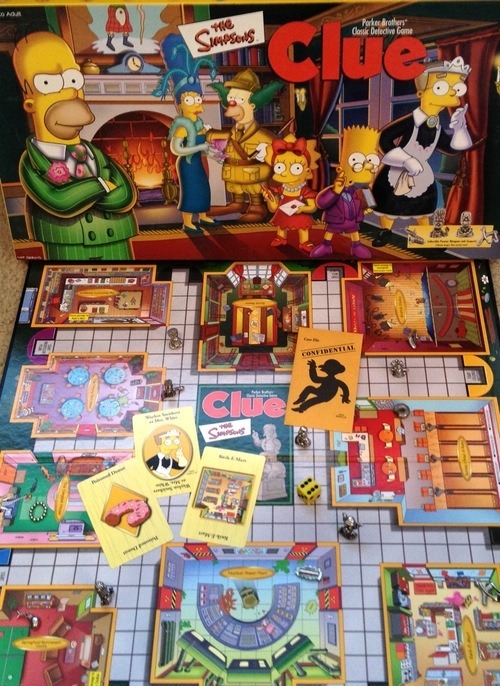 The Simpsons Clue. 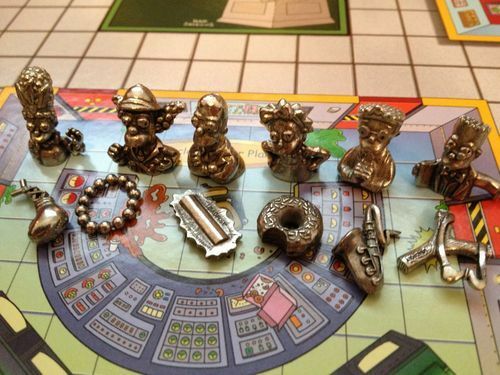 Yes, I should probably be offended by Waylon Smithers as Mrs. White, but who can say no to a yellow die, a Mr. Burns envelope, and weapons like the poisoned donut? I really love the pieces of this one. 7. Disney Theme Park Clue: Twilight Zone Tower of Terror. I’m a huge Disney Parks geek; I know a lot about the behind-the-scenes of Disneyland and Walt Disney World, and one of my all-time favorite Disney attractions is the Twilight Zone Tower of Terror. 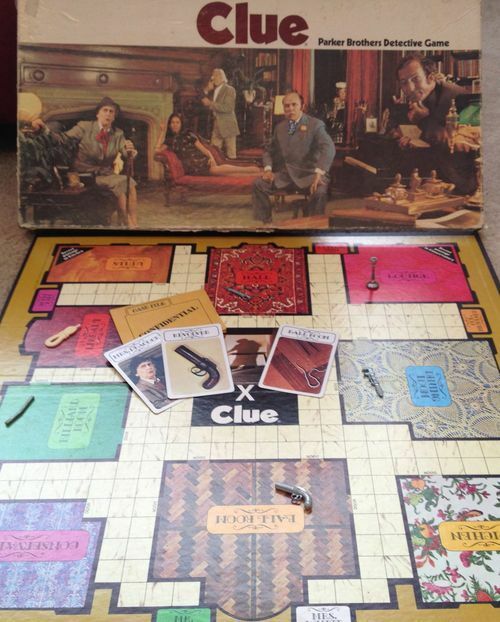 So when you combine that with Clue, how can I possibly resist? It’s got a nice tin, a glow-in-the-dark die, and all kinds of Tower of Terror theming. Of course, it’s Disney, so you’re trying to find a thief rather than a murderer. The pieces are especially large and detailed. Very, very nice. Okay, enough with the thematic overlays. 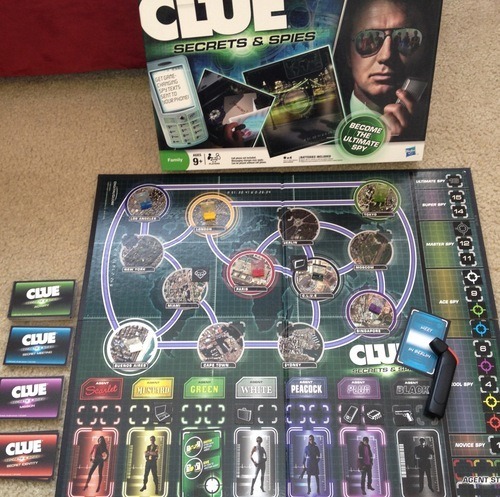 Let’s look at some of the versions of Clue that actually change the gameplay. This is where it gets interesting. 8. 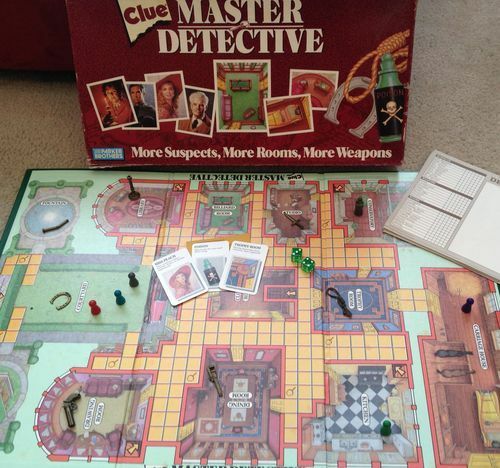 Clue Master Detective. This was my favorite version as a kid. It came out in 1988 and shook up the formula with a few twists. 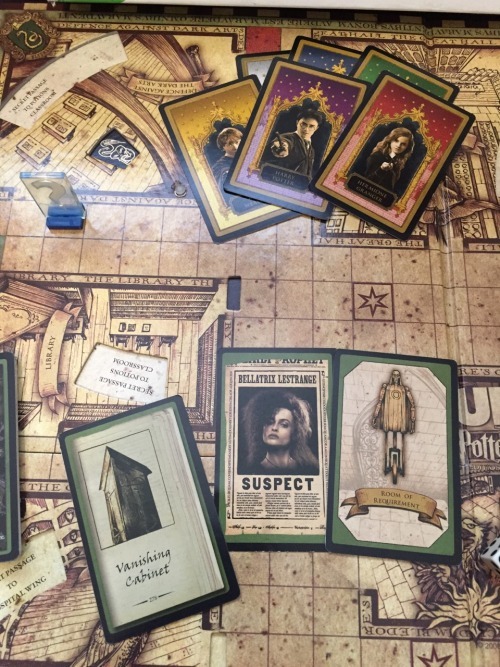 Among them: two dice, four extra suspects (Miss Peach, Madame Rose, Monsieur Brunette, and Sergeant Grey), two extra weapons (poison and horseshoe) and several additional rooms. 9. Clue: Discover the Secrets. In 2008, the game’s makers decided to update it and add a bunch of new rules at the same time. 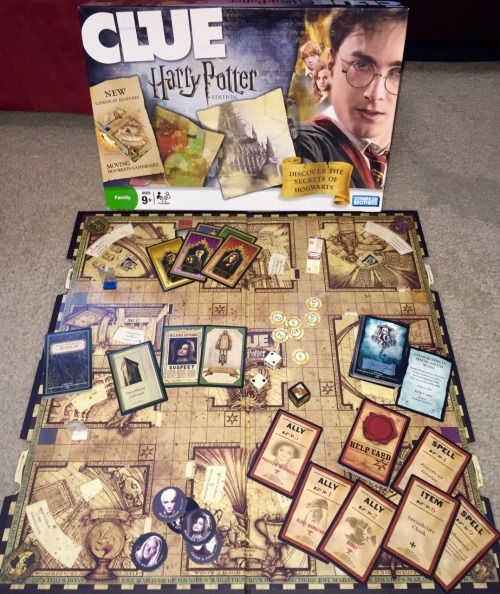 This version features new powers for the characters, special clue spaces on the board, and an “intrigue” deck that can lead to players getting killed if they take too long to solve the mystery. 10. 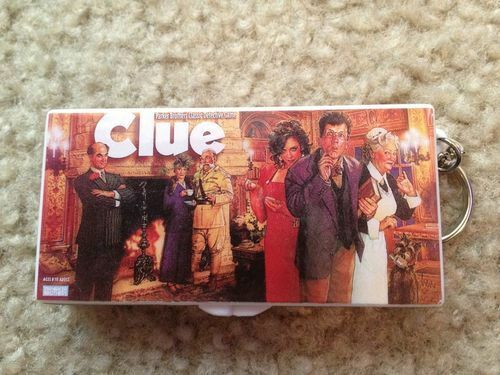 Clue VCR Mystery Game. 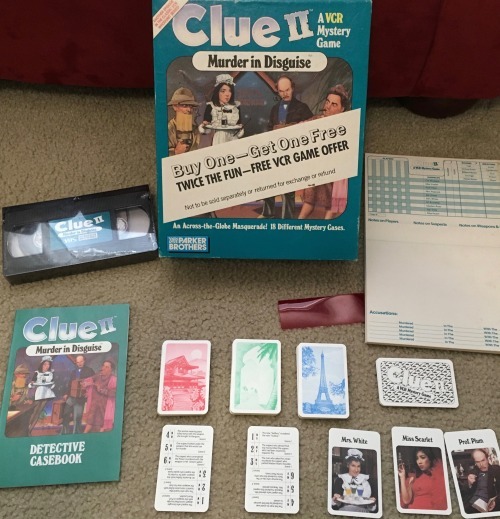 In 1985, Parker Brothers released this VHS game, in which you watched campy scenes of the Clue characters interacting and then used your observations to piece together clues on various decks of cards. 11. Clue II: Murder in Disguise. The VCR game got a sequel! They redesigned the cards and gameplay a bit, but it still has the same pictures of the same suspects from the first one. 12. 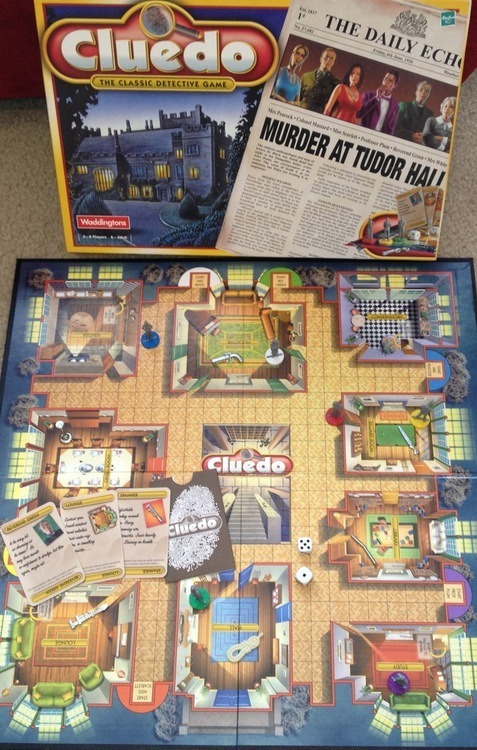 Super Cluedo Challenge. This one from 1986 never made it to the US, and I’m not surprised. 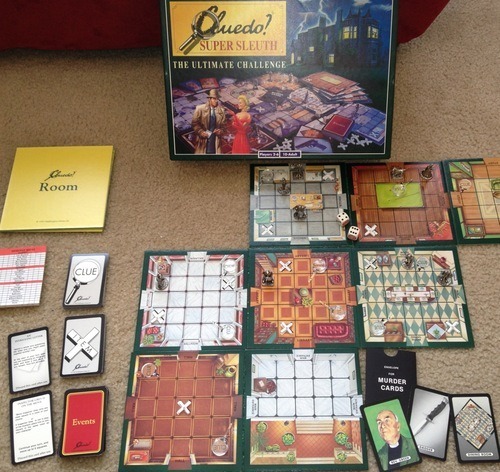 It’s definitely the ugliest version of Clue/Cluedo. You use the different colors and numbers on the cards to deduce which three cards are being kept in the three special card holders. It’s tough to explain, and this version apparently didn’t go over well with consumers. 13. 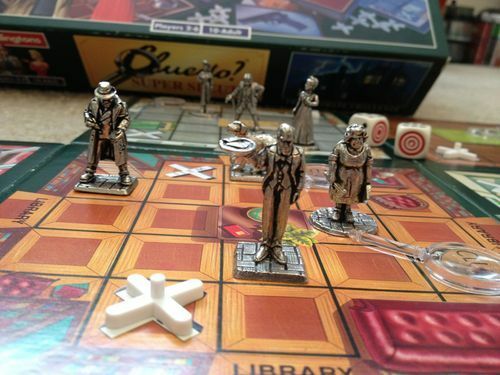 Cluedo Super Sleuth. Here’s another UK version (from 1995) that didn’t make it to the US, but in this case, it’s a real shame. 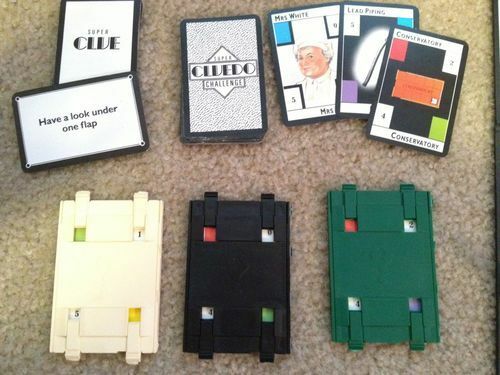 This is definitely my favorite version of Clue. 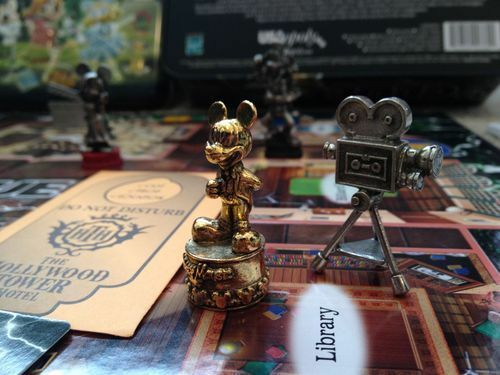 Basically, you build the mansion as you go, and you have to follow other players around in order to make suggestions (at least, according to the original rules), all while picking up items and clues and triggering special events. There’s lots of strategy involved. 14. 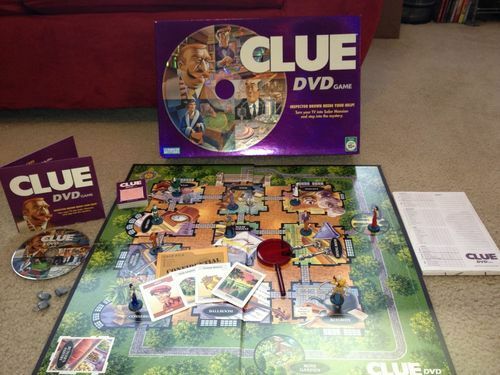 Clue DVD Game. This might sound like an updated version of the VCR game, but it’s not; it’s an entirely different experience. 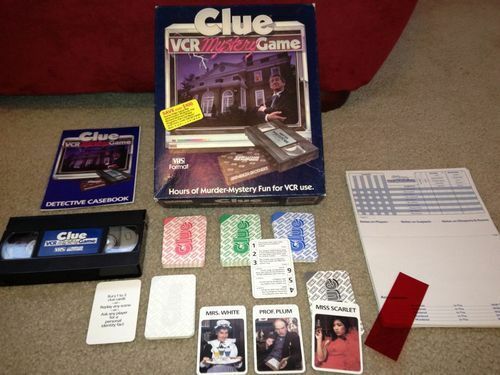 Rather than showing film segments like the VCR game, the DVD game uses the DVD player to give clues and randomize elements of game play. 15. Clue the Card Game. The mystery you’re trying to solve is different, but the basic concept is the same, in this case involving getaway vehicles and destinations for the suspect. 16. 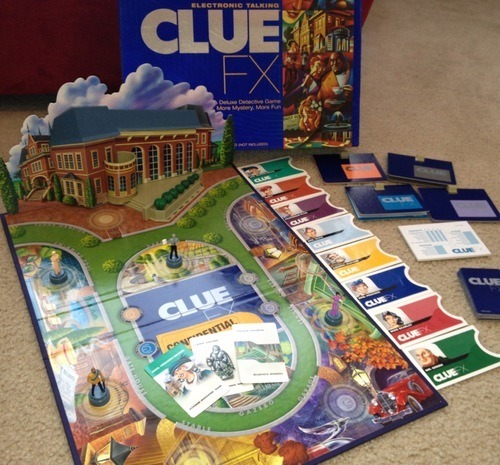 Electronic Talking Clue FX. In this one, you don’t get to fight over who plays Miss Scarlet, because no one is. You’re one of four new characters interviewing the traditional characters (and a few others) as witnesses to the crime. Also, the board talks to you. 17. 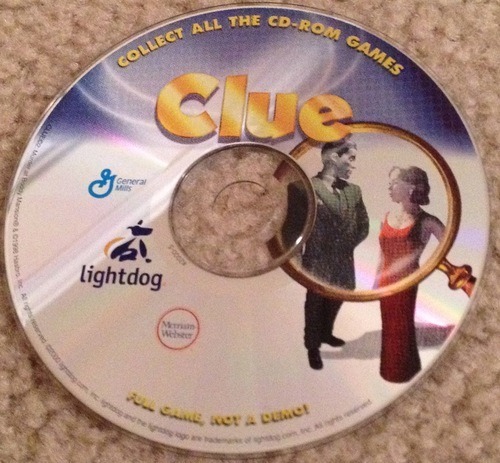 Clue CD-ROM game. 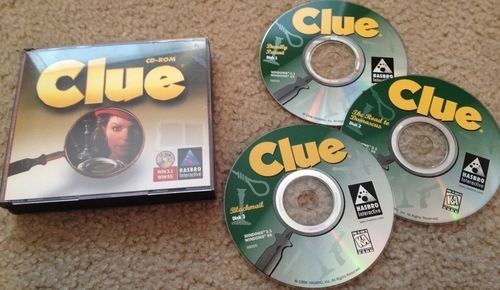 I’ve never been a big fan of the various Clue computer games, and I never actually played this Windows 95 CD-ROM version—it was a gift I received after I no longer had a computer that would play it. But it’s still there in the collection! 18. Clue: Murder at Boddy Mansion. Yet another CD-ROM game. I got this one in a box of cereal. 19. 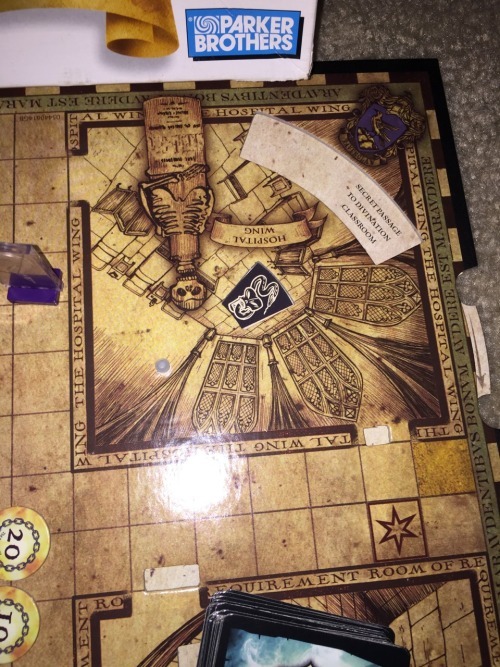 Harry Potter Clue. The perfect Clue for any Harry Potter fan. I know, it sounds like just another thematic overlay, but it’s actually more than that. This version adds all kinds of fun new elements to the game; look at how much is included! 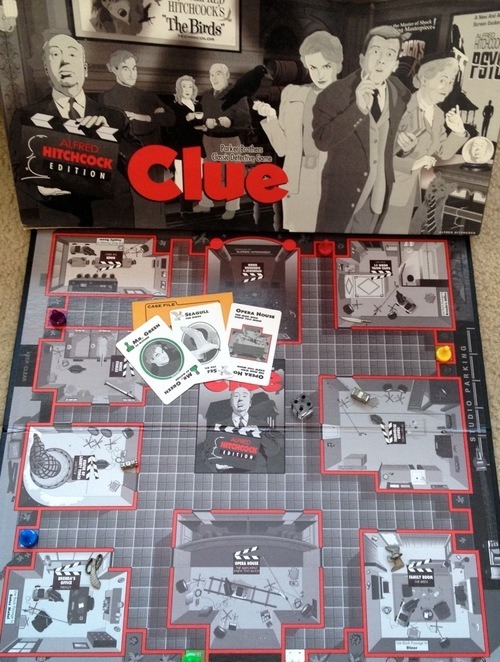 In this version of the game, one of our heroes has disappeared, and, in typical Clue fashion, you have to figure out which villain is responsible, with what item, in what room. 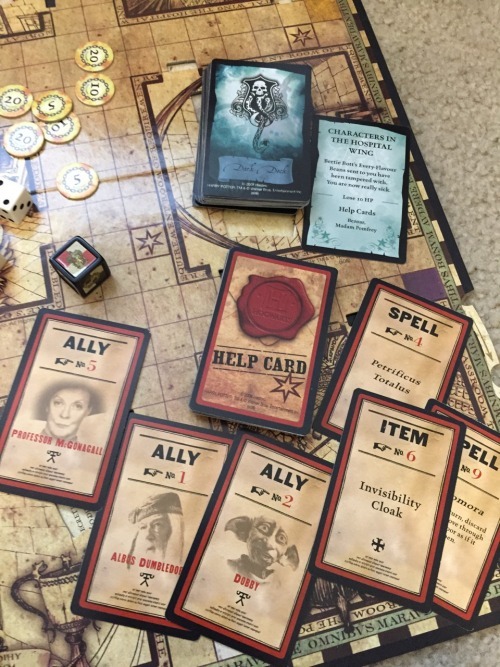 There are also two additional decks to give you items, allies, spells, and events that can help or hurt you. Along the way, you even gain or lose House Points. Lose them all, and you’re out of the game. 20. Clue: The Great Museum Caper. Okay, at this point, the game isn’t really even Clue at all, but it’s fun, so I don’t mind too much. 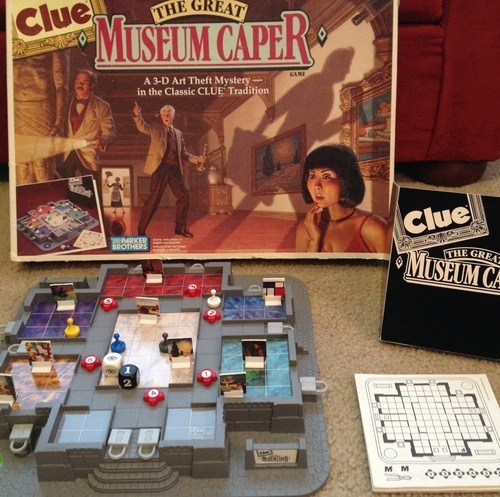 This is one of my childhood favorites, in which one player must secretly steal paintings from a museum while the other players try to figure out where he or she is hiding on the board. 21. Clue: Secrets and Spies. 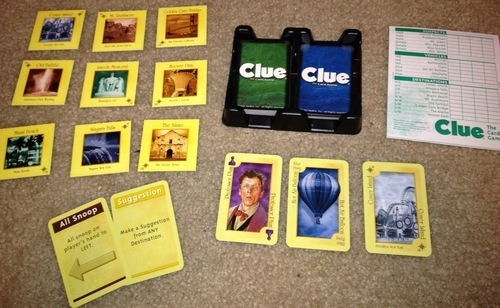 Another example of Clue-game-that-isn’t-really-Clue, but also fun enough that I decided to add it to the collection. In this one, you’re a secret agent trying to complete missions while keeping your true identity secret. 22. Clue Suspects. This was a gift from a friend of mine. It’s a one-player brainteaser game where you try to figure out which person goes where based on a series of statements. 23. Clue: the Movie. No Clue collection would be complete without a copy of the fabulous 1985 comedy starring Tim Curry, Madeline Kahn, Christopher Lloyd, and tons of other funny people. I had it on VHS, then DVD, and now of course I have it on Blu-Ray as well. 24. 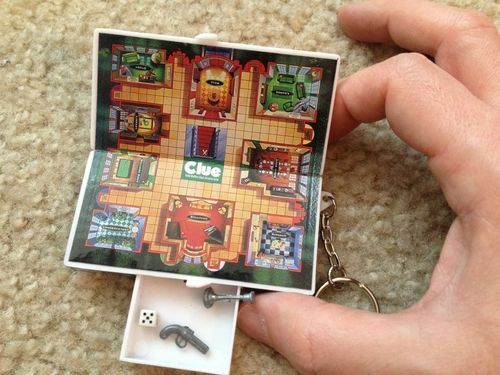 Clue keychain. It’s not actually a playable game, but here’s a cute Clue keychain. 25. 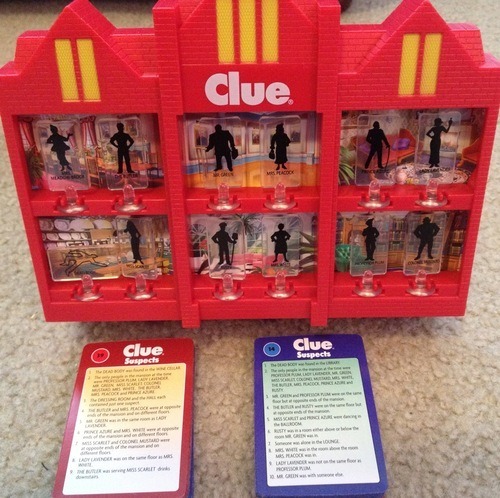 Clue: The Movie: The Novel. 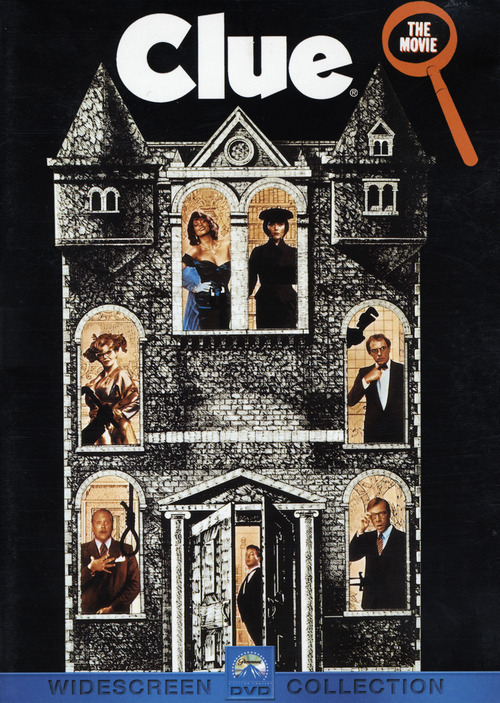 Back in the 1985, when the movie version of Clue came out, it was popular to release novelizations of films based on their screenplays. 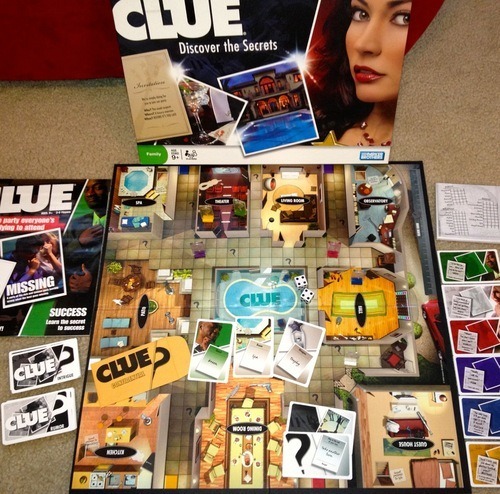 Clue was no exception, but when the movie bombed, the novel slipped into obscurity. These days, it’s known primarily for including the infamous “fourth ending” that was in the original screenplay but never made it into the finished film. I managed to snag a copy of it, so here it is! So that’s the collection! A strange hobby? Maybe. But I enjoy playing them, and it’s not even the geekiest thing about me. Stay tuned.